When we last left off in this series of Casing 101 blogs, we had structured a detailed framework that broke the problem into its unit-level variables and presented it to the interviewer (see link here). But this is just the beginning. From here the interview will move into a series of problem solving exercises including math problems, interpretation of complicated charts and exhibits, and brainstorming exercises. Of these, math typically causes the most anxiety among candidates. Performing multi-step math on paper in front of a stranger, while verbalizing your calculations, is an experience that requires significant practice to get comfortable. But practice alone is not enough; there are certain best practices that will help candidates excel in the math portion of their case interviews. We’ll walk through these now. One of the most common mistakes I see candidates make in mock interviews is their belief that the ability to do raw, complex calculation is all that matters. As a result, when given a math problem, these candidates will spend 2-3 minutes in silence, scribbling a series of equations on their paper that are impossible for the interviewer to follow, before offering an answer without any explanation of how they reached it. To be sure, consultants must be able to do complex analysis, often involving challenging math. However, a consultant’s analysis is only worthwhile if they can present it to the client in a clear, concise manner that the client understands and can rely upon to make change in their organization. Accordingly, interviewers are not only testing your ability to do math, but also your ability to clearly lay out your analysis and explain it in an intelligible way. To that end, before doing any math, I recommend structuring the analysis by laying out on paper the order of operations you will follow to get to the answer. For example, imagine you were given the following information about a hospital, and your interviewer asked you how many surgeries the hospital would need to conduct per year to break even. How would you structure this problem? When first given data such as the tables above, you should not do any math. Instead, start by examining the exhibit and immediately think about how the data that is given can be used to get to the right answer. While you may not have figured out every necessary step in the series of calculations, you should at least recognize the first few steps. Begin writing out these first steps, outlining the “intermediate answers” you’ll get to as you progress through the calculations. As you work through the steps to get to these “intermediate answers” you should continually recognize and outline the subsequent calculations you need to make until you arrive at the final answer. To make your order of operations as easy to follow as possible for your interviewer, lay out the order of calculations vertically in a table, with a second column that will be filled in once you begin the actual calculation. This format also has the added bonus of helping you avoid getting lost as you perform multi-step calculations. As mentioned above, your interviewer is not simply testing your ability to do math. He or she also is testing your ability to explain complex analysis to clients in a concise and intelligible manner. Therefore, you should strive to speak to your interviewer as you lay out your calculations and perform the subsequent math. Accordingly, once you have laid out your full order of calculations in a table, spin the paper to face your interviewer, and explain to them the steps that you will take to arrive at the final answer. Once you have done so and begin performing the calculations, continue to talk out loud as you fill in the numbers in the table you have created. By doing so, your interviewer can follow your work and can course correct you if you make any small math errors, such as multiplying by 100 instead of 1,000. Importantly, a small math error is not a disqualifier, so long as you recover quickly and show structure in your problem-solving. Once you have laid out your calculations in a table and explained your approach to your interviewer, it is time to begin performing the actual calculations. Using the initial data you were given, begin filling in the second column of the table you created above. As discussed, talk to your interviewer as you perform each of these calculations so that they can follow your train of thought. Where possible, use mental math for your calculations. It becomes tedious when a candidate needs to use pencil and paper for every single calculation. Mental math makes it easier to communicate and will make you seem like a more fluid thinker. Certainly, if you cannot do the math in your head, then you should use a pencil and paper – it’s better to get the right answer with paper than the wrong answer with mental math. But certain calculations, such as $15 million divided by 1,500, you should be able to do in your head. Below is an example of what your table should look like once you’ve performed all the calculations. For a consultant, performing calculations that give you the right answer is not enough. You must also be able to take your analysis and contextualize the output, showing that you understand the implications of the analysis you performed. Accordingly, once you have gotten to the right answer, give your interviewer the “so what?” – a brief explanation of what the answer actually tells you about the situation you are analyzing. For instance, in this case you might say something like, “We need to perform 2,000 surgeries per year to break even. We currently only perform 1,500 surgeries, so we would need to increase surgeries by one-third just to breakeven, and by even more to be profitable. This is a huge increase and one that might not be realistic. In addition to trying to drive more surgeries to our hospital, we should also evaluate ways to cut costs to achieve profitability." Originally from northern New Jersey, Ryan is an MBA Candidate at Columbia Business School, where he is a Columbia Fellow. After graduating from the University of Notre Dame, he worked for six years in New York in investment banking and equity research. 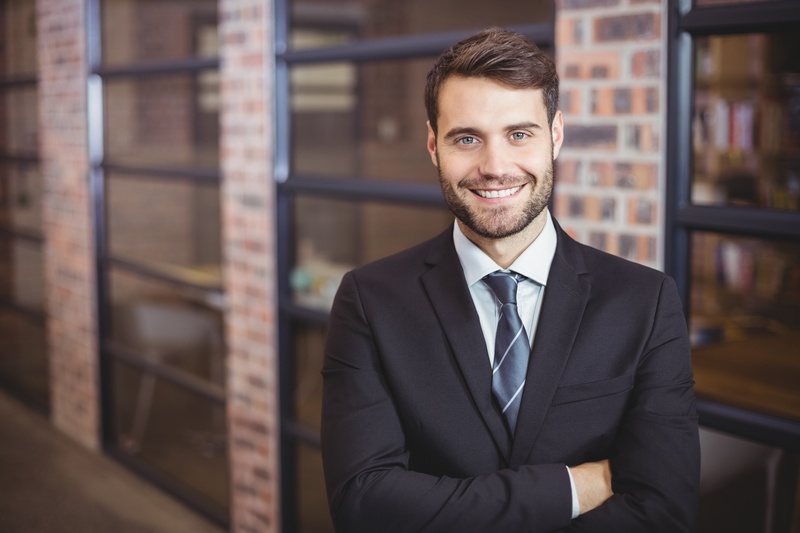 After passing all three levels of the CFA exam on the first attempt, Ryan finally realized he would rather work alongside companies to help them grow, as opposed to determining what their stocks were worth. He made the transition to Columbia to pursue a career in management consulting, and will be joining a consulting firm upon graduation.